The system, BB-11, now a well marked low, estimated at 17.5N and 87.9E, East of Vizag. Estimated core pressure is 998 mb and estimated winds at 25-30 knts in the Southern segment of the system BB-11. 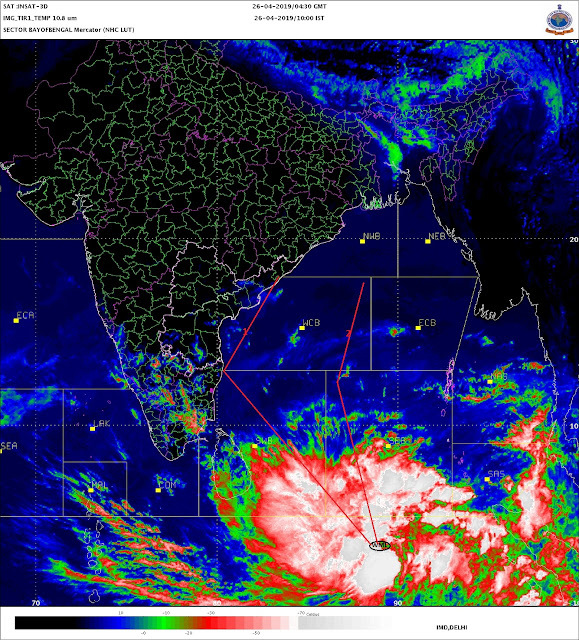 Due low resistance, it will develop into a Depression and proceed to a Deep Depression stage by 21st. Around 21st morning, BB-11 will cross the Odisha Coast. Heavy rains likely in Odisha and Northern A.P. next two days. The system will be short lived and will fizzle out into a Low within 24 hrs. Low will travel W/NW into Chattisgarh and East M.P. An UAC will ultimately fizzle out over North M.P. Heavy rains likely in M.P. on Friday and Saturday. Delhi :Heavy and occasional showers on Saturday/Sunday.Increase in weekend rain intensity. Jabalpur; Showers and windy Friday. Mumbai: Occasional Showers in the city on Thursday (10-20 mms) and Friday (15-25 mms). Rainfall increasing on Saturday and Sunday. Thunder Showers will be prevalent in interior Maharashtra's Madhya Mah.regions from Friday thru next 8 days. Satellite images of OLR and UTH and upper winds indicate the withdrawal of the South West Monsoon from West Rajasthan and Kutch and Southern/Central Sindh. Rajesh Sir, when d'you expect the Monsoon to withdraw from Delhi-NCR? Orissa for extreme torrential rains. Cyclone to hit Orissa?